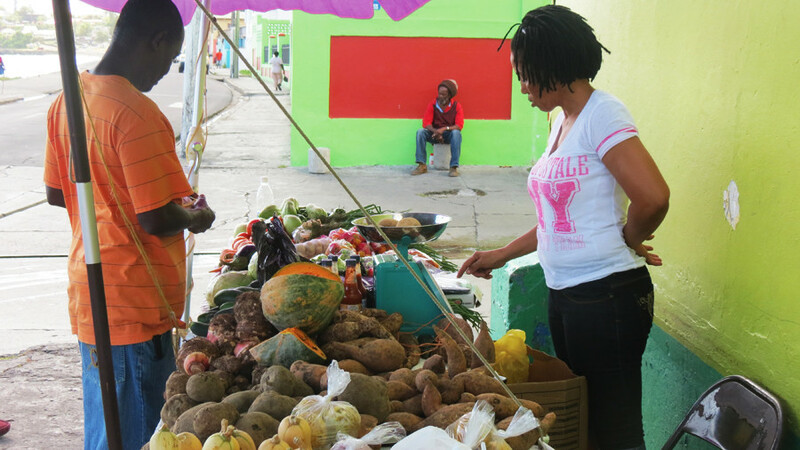 Fresh produce markets in the Caribbean should ideally be a space for sellers, buyers and visitors, including tourists, to ‘circulate’. 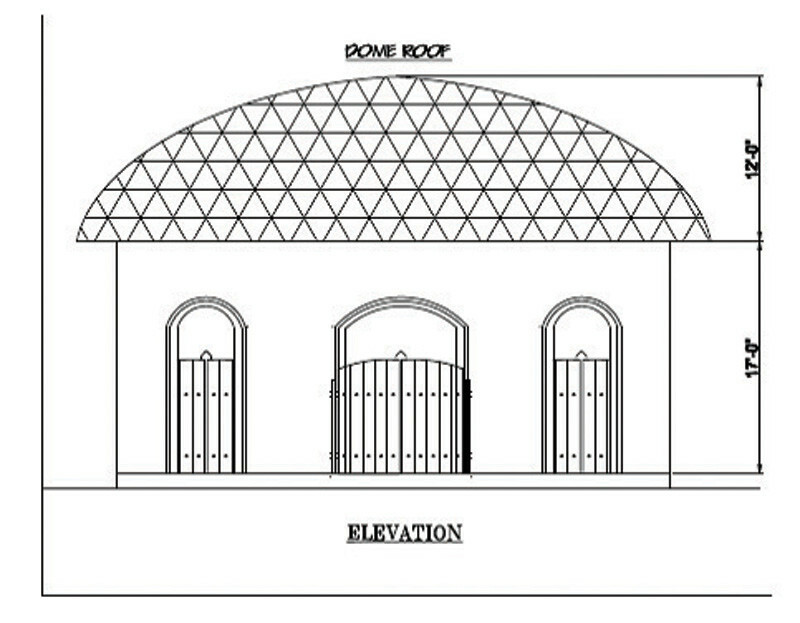 There would be no front and no back in the new stylish circular, domed-roof model agricultural market. That’s the vision recommended in an ‘assessment of the adequacy of marketing infrastructure with specific focus on the needs of small farmers’ that was recently concluded through the CARICOM Secretariat under the policy component of the 10th European Development Fund (EDF) Intra-ACP Agricultural Policy Programme (APP). ‘We must come to the realisation that markets for fresh agricultural produce cannot simply be a heavy concrete structure, with a big iron gate, and people selling outside because they want to be ‘in front’ to catch the good prices or because there is never enough space for the people who want to do the vending,” Consultant, Dr Lennox Sealy said. Dr. Sealy described market infrastructure as ‘any physical facility or tangible facilitating arrangement that permits the flow of agricultural products from farm-gate to consumer’. This includes the physical structures found in public, municipal or retail markets, private or public farmers markets, vendors market, wholesale markets and supermarkets. The one common element in these ‘markets’ is that they provide appropriate spaces to facilitate the sale of agricultural products by the farmers themselves, vendors, or in the case of supermarket operations, a ‘self-service’. Essentially, ‘market infrastructure’ should meet the marketing requirements for fresh agricultural produce, such as fruits, vegetables, roots crops, herbs and spices. Using five Caribbean countries as a sample- Barbados, Grenada, Guyana, St, Kitts and Nevis and Trinidad and Tobago - Dr. Sealy confirmed that all these types of agricultural market structures existed in the Caribbean. What may not be so well appreciated is that those markets, particularly the public markets, were not adequate for the purposes of facilitating continuous marketing of fresh agricultural produce that met a certain basic and common standard. ‘Adequacy’ is being determined from the supplier (farmer, retailer and/or vendor) and the buyer (individual consumers, retailers/wholesalers) perspectives, as well as any intermediary, for example packing houses. Twenty (20) characteristics were used to determine whether the infrastructure was ‘adequate’. markets are suitably located given traffic and other considerations. In describing suitable market location, Dr. Sealy observed that in most countries, retail markets in particular, were part of the country or ‘municipality’, and usually were located along ‘main streets’, in towns, occupying what was now considered to be ‘prime property’. In Trinidad and Tobago, for example, several of these markets were located along the Priority Bus Route and in St. Kitts and Nevis, in ‘downtown’ Basseterre, representing serious traffic congestion points. 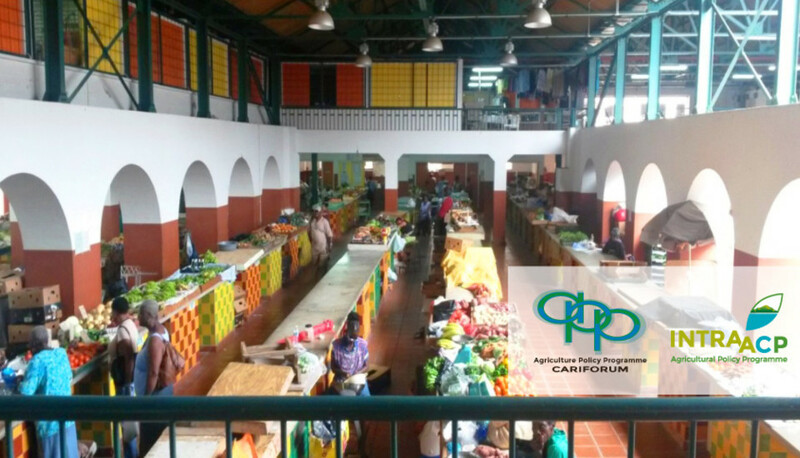 The assessment confirmed that while much remained to be done, governments in the five sample countries had been investing in improving agriculture market infrastructure, such as the EC$13million refurbishment works recently done to the Grenville Market in Grenada, and the ongoing construction of markets in strategic locations in Barbados to support wholesaling of fresh produce. Among the several issues raised by stakeholders, there was an appreciation of the need to determine whether ‘multi-purpose’ markets negatively affected sale of fresh agriculture produce or could be more effectively used to promote and complement marketing and consumption of foods based on local fresh produce. This was based on the long-standing practice, in almost all such markets, of the sale of clothing, household and other non-agriculture products. Also worthy of consideration in the design and operations of public markets is the need to provide some form of ‘accommodation’ for market users, mainly the several small scale female vendors who depend on these markets as their main source of income. The female vendors as well as other users may spend up to three days at the market with no available overnight facilities for rest and personal hygiene. The issue of market design was the area which offered the most food for thought because, according to Dr. Sealy, fresh produce markets across the Caribbean are simply a ‘collection of concrete walls, varying roof heights and iron gates’, and ‘ironically the lack of use of enclosed space’. It is against the backdrop of simultaneously satisfying policy-makers’ market-led agriculture development thrust, vendors need to position themselves ‘in front’ for best sales, and consumers desire to have a safe, secure and comfortable market experience, that the assessment recommended a circular design for fresh produce markets. Of course the much improved aesthetics wouldn’t hurt. It could elevate the market from being just a place where vendors normally jostle for “front” stalls and consumers normally haggle over prices, to a choice ‘stop’ on the official tourist routes. 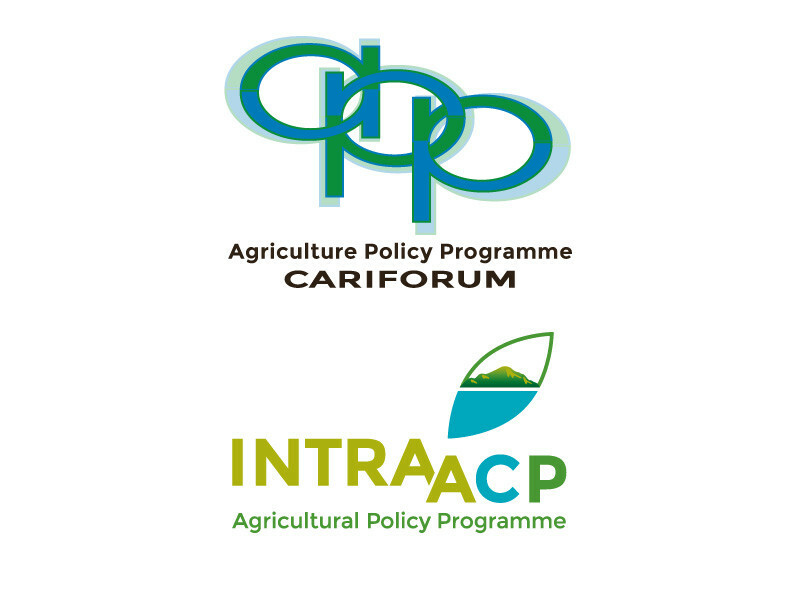 The “Caribbean Action under the Programme entitled Agriculture Policy Programme (APP) with focus on the Caribbean and Pacific” is funded under the 10th European Development Fund (EDF) and executed through a Contribution Agreement signed between the European Union (EU) and the Inter-American Institute for Cooperation on Agriculture (IICA). The Caribbean APP is being implemented in collaboration with the Caribbean Agricultural Research and Development Institute (CARDI) and the CARICOM Secretariat (CCS). Receive on a regular basis our news and views, right in your inbox. Our newsletter covers updates on our programmes and activities. Subscribe to the media contact list. to the Intra-ACP APP Media contact list. to receive frequent news and updates about this programme.